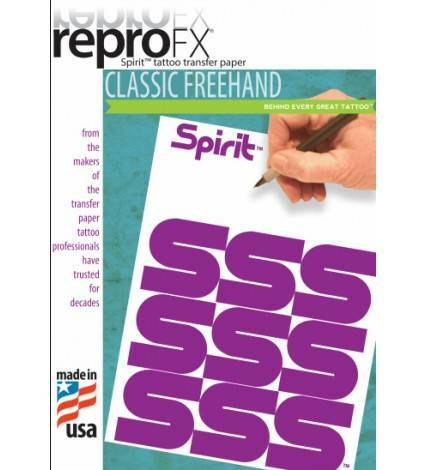 Spirit™ Freehand Tattoo Transfer papers are designed for those one of a kind pieces. We took the high visibility purple dye and suspended it in a truly unique wax matrix. This wax blend is butter smooth and extremely responsive to pressure, which allows artists to introduce extreme detail to their stencils. And the ripstop stencil sheet stands up to the most aggressive tracing.